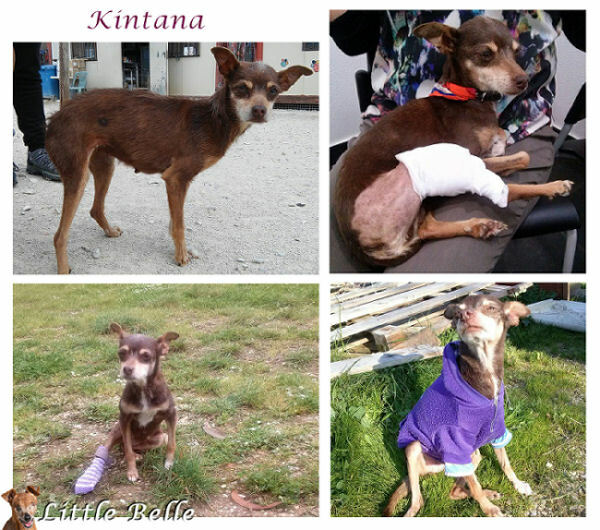 Kintana was found June 2016 in Portugal when she was wandering in the streets. 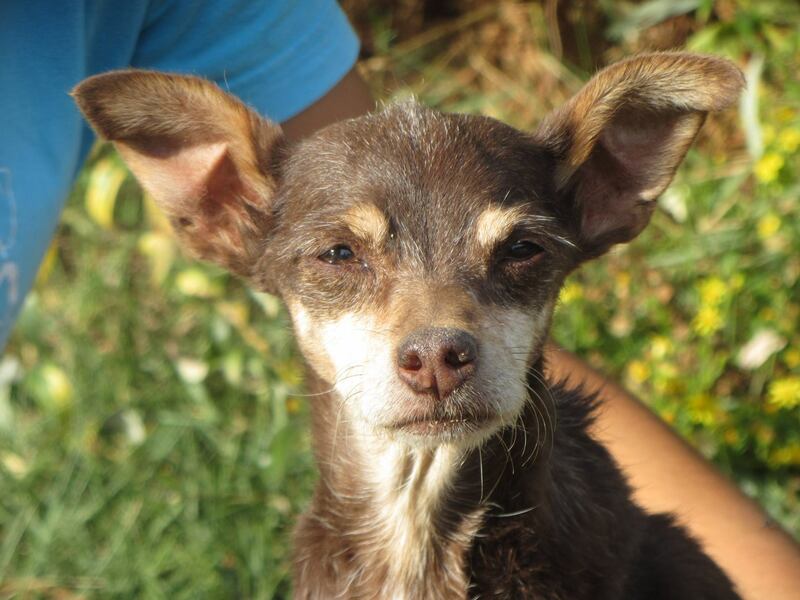 She was rescued by Bianca, the organization that saved me as well! Kintana was in a terrible state; undernourished, limping with all four legs and she had an overwhelming amount of fleas and ticks. X-rays showed that both her hind knees were dislocated and that she had arthrosis in her right shoulder. She needed a few months to regain strength and weight before she could be operated. In the photo collage below, you can see how Kintana was found in the top left picture. The two other pictures were made after operations and in the bottom right picture, she was enjoying the sunshine. Last year, I wrote these following words about Kintana: “They call Kintana ‘a sea of sadness…’. But her name means Star, so I hope that one day she will feel as a star who shines brightly over the sea…” A dream that has come true!